On 25 September 2015, the United Nations General Assembly adopted “Transforming Our World: the 2030 Agenda for Sustainable Development”, which came into effect on 1 January 2016 and will carry through the next 15 years. 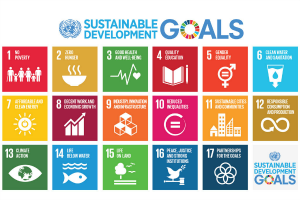 The 2030 Agenda is a broad and universal policy agenda, with 17 Sustainable Development Goals and 169 associated targets which are described as integrated and indivisible. It promises to leave no one behind and reach the furthest behind first. 2016 is the first year of implementation. According to the 2030 Agenda framework, the primary responsibility for implementation of the 2030 Agenda is at the national level. On the global level, the High Level Political Forum is the central UN Forum to oversee review and follow-up processes on progress of implementation. The HLPF will be meeting once a year under auspices of Economic and Social Council and every 4th year under the auspices of General Assembly. In 2016, the High Level Political Forum will be meeting from 11-20 July 2016, where discussions will take place on the future framework for follow-up and review to the 2030 Agenda. Indigenous peoples’ representatives and organisations have several opportunities to feed in to the ongoing discussions leading up to the HLPF meeting in July. 29 February to 25 March: ECOSOC e-consultations on on how to best address implementation challenges of the new Agenda, with a special focus on the national level. 31 March: ECOSOC Partnership Forum 2016: From commitments to results – leveraging partnerships for the 2030 Agenda. Information available on their page. 21 April: High-level thematic debate on achieving the SDGs hosted by the President of the General Assembly. Online stakeholder consultations are ongoing.